HELLO. This is Microsoft tech support and we have detected a serious virus in your computer and we need you to log on right away so we can help you. Have you ever received a phone call like this, without actually requesting support? The call itself should already raise your suspicions. However, when you are asked to provide your personal data or credit card credentials, warning lights should be flashing. 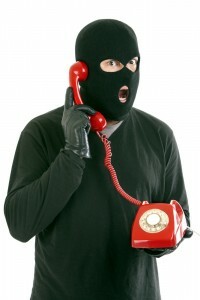 Recently journalists, bloggers, and even Microsoft itself warned against the "Microsoft calling scam." The Microsoft phone scam is just one example of thousands of similar offers reported daily. Scammers can be very creative and do not hesitate to take advantage of people's trust. They are well prepared and trained, so we need to beware and ready to react fast. What should raise you suspicions? The person contacting you requests access to your PC, personal information, or credit card. AVASTtip: In general, use common sense and simply be careful. If you didn't request the service or you have never participated in the competition, and suddenly you receive a wonderful offer via phone, email, or social media, you can trust that this is not a genuine offer. Always verify the authenticity of any offer, and do not easily provide access to your confidential data to strangers.